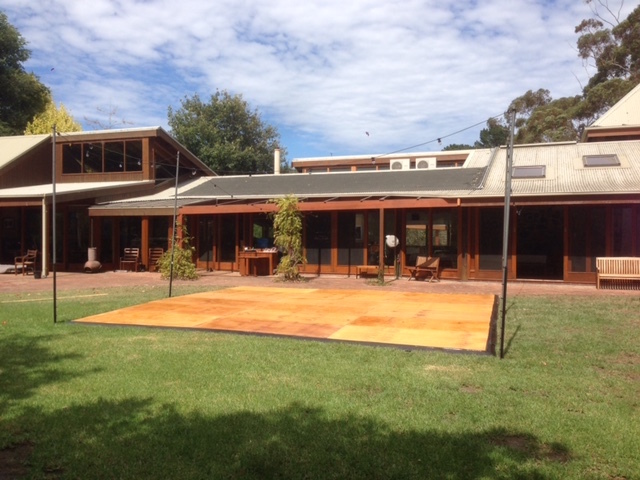 Outdoor dance floors are all the rage at the moment. 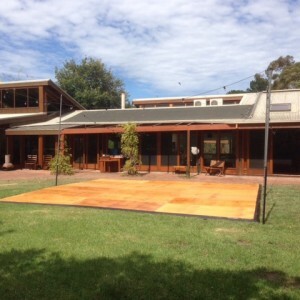 Our polished timber outdoor dance floors are perfect for your outdoor party. There is nothing like dancing the night away under the stars with friends. This 6m x 6m outdoor dance floor with safety edging and warm white festoon lights was the perfect setting for a home wedding. We can deliver to all areas of Melbourne and the Mornington Peninsula. Our Festoon light poles are telescopic and self weighted so they are easy to install and provide lots of flexibility to ensure just the right look you are after. Contact Celebrate Event and Party Hire for all your outdoor dance floor hire needs.